I meant to write this a while back but didn’t quite get round to it. 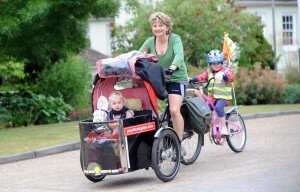 I’ll be there with the above trike contraption and on-board offspring. I’ll have my cycling books for sale and a few other bike bits. Among other things on offer are free cycle lessons, free bike maintenance, free bike marking, free helmet fitting and lots more. Plus ice creams! The weather forecast is?set for steamy hot. So if you’re at a loose end come and say hello and feel free to feel my tyres. Too late for me to get there! I found one of your books in a charity shop it caught my eye(one of the Japanese ones) I have toured in Japan so it appealed, I loved it and bought the other one! If you have been to Japan you get it and find it even funnier. Looking forward to reading all your books. Suppose your big trips will be over for a while now you have your lovely little girls. Bet they will be joining you in years to come. Thanks for some of the best reads I have had, top of my favourites list. I’ve read all of your books-twice-and mourn that you did not travel Australia to produce another book. But children are also a nice production. You are an excellent writer! Thank you for many pleasant hours of reading. A big thank you for reading my books – twice! Glad they didn’t put you off. 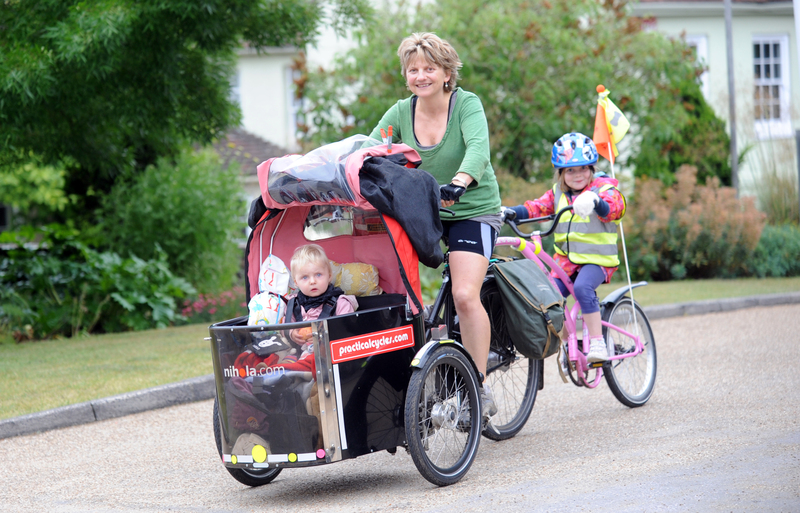 You’re right, children are a lucky product (if a busy one) of having to curtail my Australian cycling plans though I plan to go cycling there with them when they have expanded in size a bit! Am currently full-steaming ahead with another book which am hoping to finish this year – only obstacle to that is I keep going off cycling with girls so only chance to write is in small hours of night when I’m half asleep.